The good folks over at Valley Food Storage recently contacted us about a partnership. After requesting and sampling some of their food, we were on board. What really sets Valley apart, in our opinion, is the quality of their product - see for yourself how they stack up against other food storage companies. 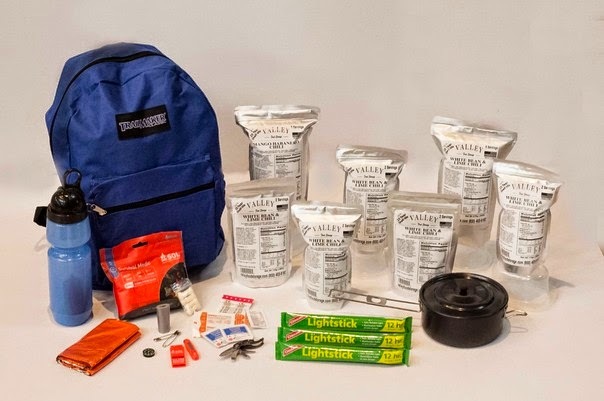 For this giveaway, Valley Food Storage is rewarding one MMM reader with a two-person 72-Hour Kit, valued at almost $150. Giveaway guidelines are below. • Leave a comment on this post. • Seven days to enter (closes Sunday, February 8th at midnight). • Winner announced Monday, February 9th. • Winner must respond via email with their address by Friday, February 13th to claim the kit. • Kit will be mailed directly to winner at Valley's cost if within the United States.